Check the guide to Root Moto E Android phone. 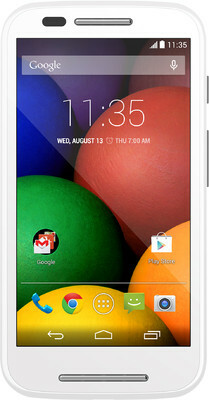 Moto E, the android Smartphone which has launched few days back can be rooted. Motorola is winning the heats of many people by launching android budgets phones one after another. Moto E launched with price tag of Rs. 6,999 with really excellent features to be followed. The device runs with latest android 4.4 KitKat. Here below is the rooting guide of Moto E android phone with required pre requisites and procedure. All the data present in your Moto E device are to be backup so that it can be restored manually. Below steps guides you for backup of data. Make sure that the USB Debugging Mode is enabled. This is an important step. To enable go to Settings > Applications > Development > USB debugging in your Moto E. Also make sure that the charging in your device is more than 85% so that it doesn’t power off in the middle of the procedure. Disclaimer: Gadgets Academy is not responsible for any damage occurred to your Moto E device which is very unlikely if you follow the instructions carefully. Download the mfastboot package in your PC from HERE and extract it to a folder. Use the same for unlocking the boot loader. Rooting of Moto E needs to unlock the boot loader. You can simply unlock the boot loader from HERE. Now download TWRP recovery image to your computer and extract it to the same folder, where mfastboot is extracted. Rename it to recovery.img, if it is not with the same name mentioned. To download click HERE. You need also to download Superuser SU package. Download from HERE and copy the same to the root of your device’s internal storage. Connect your Moto E mobile to computer and Reboot to boot loader by pressing Volume Down + Power button for about 5-6 seconds. Go to directory where you have extracted the mfastboot and press and hold Shift Key and right click anywhere inside the folder and select open command window here. Press the Volume down button and select recovery on fastboot menu, to enter into recovery mode. Make a note that touch won’t work in recovery mode, so wait for 60 seconds or so and let the device screen go blank. Now press the power button and swipe to unlock, and the touch works. Select install and choose the SuperSU zip file from your device. Swipe to confirm, wait until the flash is complete. Now reboot your device in normal mode by selecting reboot. That’s it your Moto E is rooted now. To confirm, check app drawer. There should be SuperSU installed or else use RootChecker App. Any issues while rooting, lets us know. We will try our level best to help.